I have a theory. Hear me out here. White Ferrari, the second major album from Frank Ocean, is coming out on Christmas. I don’t exactly know why I’m convinced of this, but I feel it in my bones that it’s about to be here. Here’s what got me thinking about it: nothing. There haven’t been any rumors, any Tumblr posts, any leaks – nothing. It all clicked when I remembered an interesting change to music this year. Before 2015 the official release date for albums was always Tuesday. This allowed for accurate, observable sales by the recording industry. This wasn’t something we outright thought about necessarily, but it was always there. However, the new day for releases is Friday as of 2015. This means that every album, from Drake and Future collaborations to Alvin and the Chipmunks: The Original Cinematic Score, come at the end of the week. Frank Ocean also has a penchant for big releases. That’s kind of cheating, given Channel Orange is the only real release we can work with here. 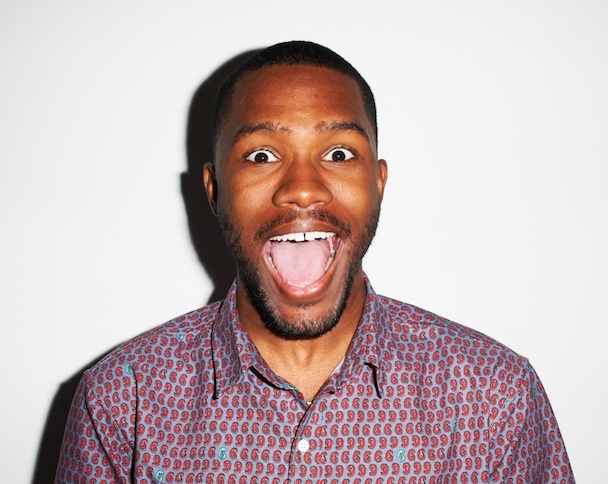 However, Frank came out with a note revealing his sexuality, to a point, right before Channel Orange dropped. It suddenly re-contextualized the album. “Bad Religion” suddenly clicked in a way that it wouldn’t have before, and three years later it’s still one of the best songs of the past decade. While there isn’t a large personal reveal tied to Christmas – at least not one anyone has thought of thus far – the idea of dropping the most anticipated album of the year on the ultimate giving holiday seems roughly appropriate. But most importantly, this seems like something Frank Ocean would do. Again, I have no evidence outside of a hunch, but somehow the idea of him dropping an album on Christmas makes sense. Artists love to own holidays, and Frank could shut down Christmas whereas Jay Z only brought intrigue with Magna Carta, Holy Grail on July 4th two years ago. Plus the release date would fit – Christmas is this Friday after all. There’s an extremely high chance I’m wrong here. But even my most skeptical of brains is thinking that maybe this has some legitimacy. Maybe I’m desperate, maybe I’m psychic, or maybe it’s a bit from column A and column B.
Don’t let me down Frank.